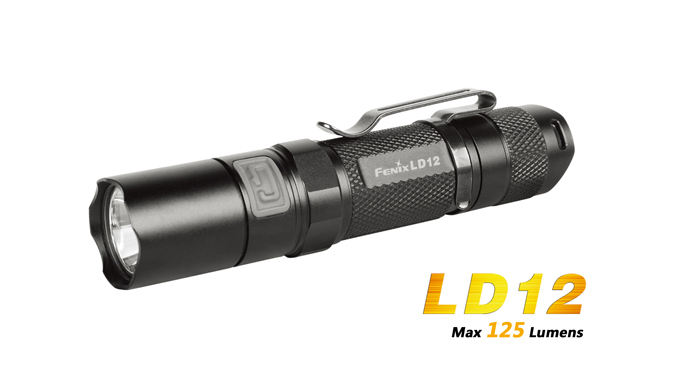 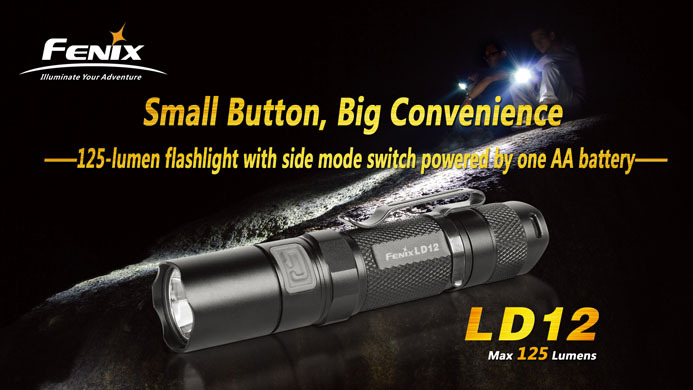 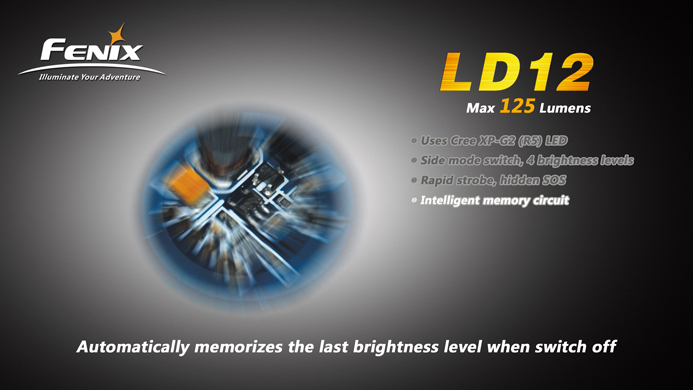 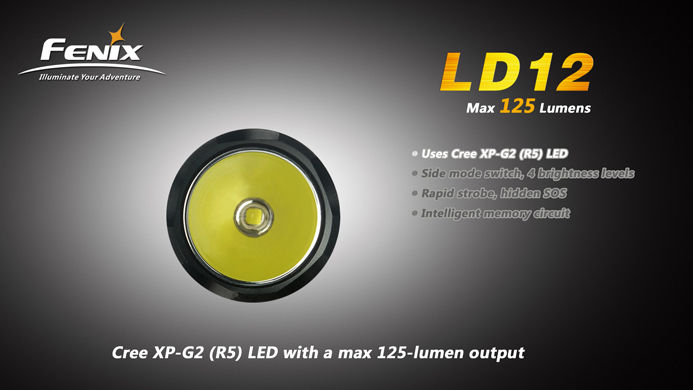 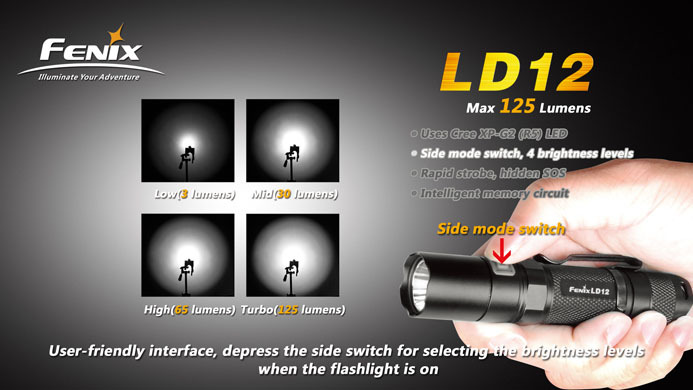 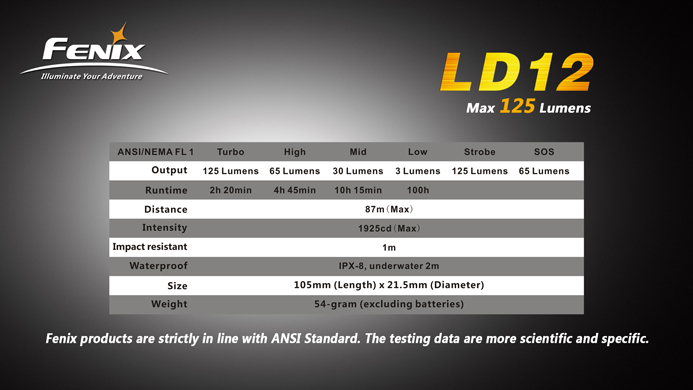 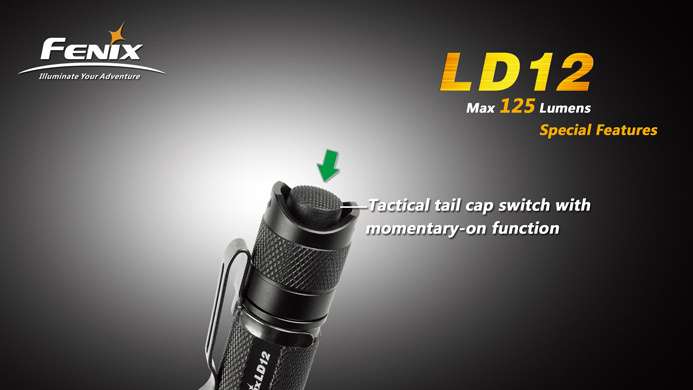 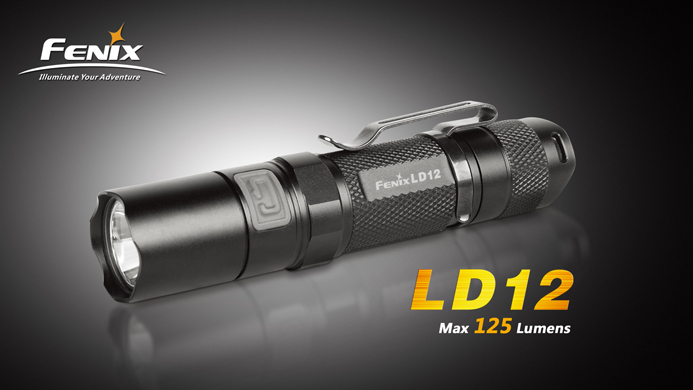 Fenix LD12 is a flashlight with side mode switch. 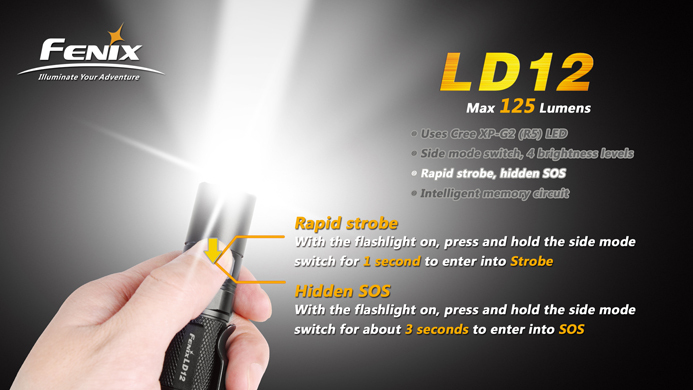 It offers 4 brightness levels, Strobe and SOS. 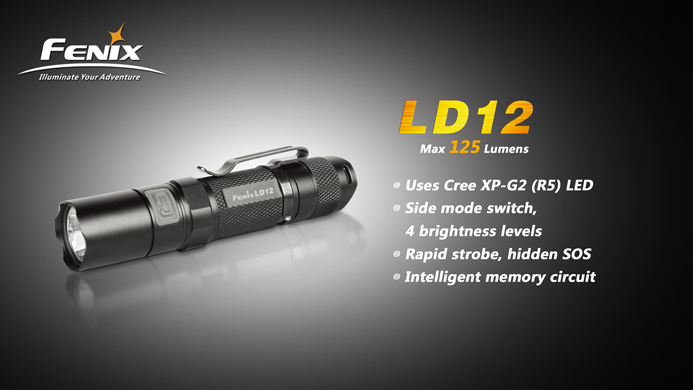 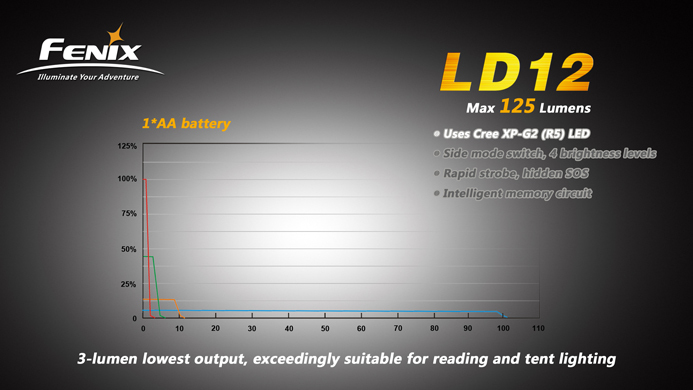 Using only one AA battery, it delivers a max 125-lumen output and a max 100-hour long runtime! 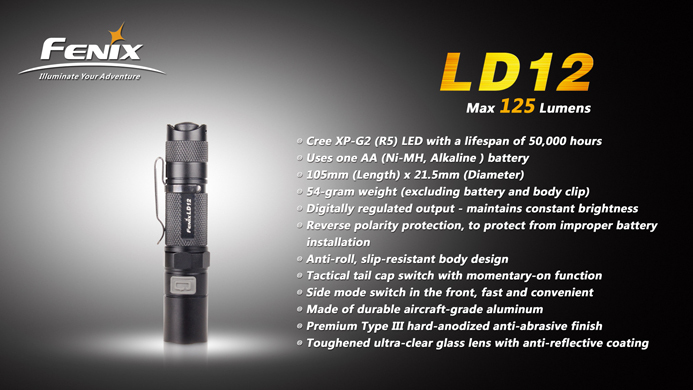 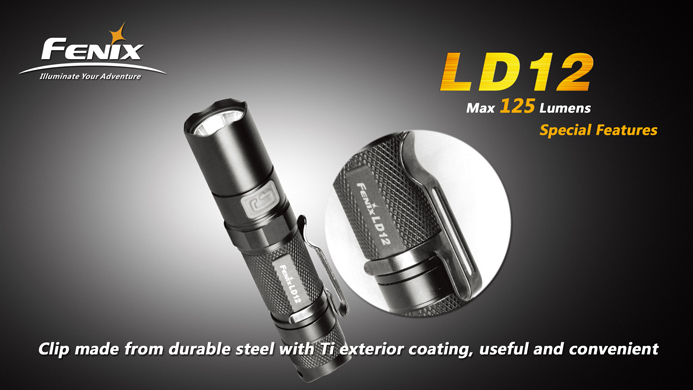 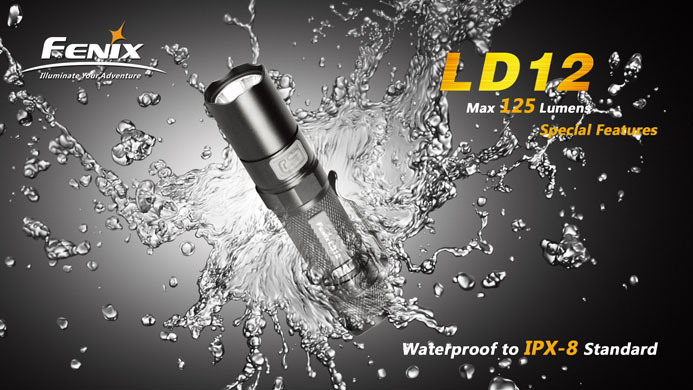 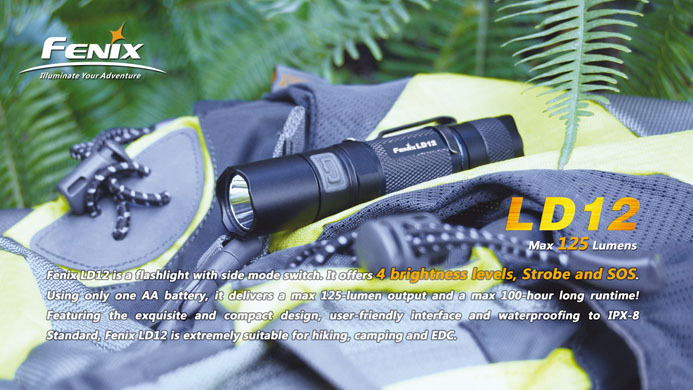 Featuring the exquisite and compact design, user-friendly interface and waterproofing to IPX-8 Standard, Fenix LD12 is extremely suitable for hiking, camping and EDC.